January 14, 2019 /in General News, Standard Essential Patents, Tech's Frightful Five /by David L. Cohen, Esq. In the topsy-turvy world of Standard Essential Patent (SEP) litigation, a court acknowledging the obvious often counts as news. Thus, when Judge Gilstrap in EDTX noted the other day in an order before trial (Doc 376) that the ETSI IPR policy does not require royalties being calculated on use by the smallest saleable patent practicing unit (SSPPU) as the base, it generated breathless headlines (Bloomberg). All that happened, however, is that Judge Gilstrap joined Judge Birss of the United Kingdom in Unwired Planet (Section 4.2) and Judge Selna of CDCA in TCL (Page 114) in applying FRAND royalties against the net selling price for each end user device. There are those (not me) who might see Judge Birss as biased against SEP implementers (e.g., Spicy) and thus discount his rulings on the topic. Judge Selna, on the other hand, who ruled that TCL, which for 4+ years refused to take a license to Ericsson’s portfolio (and had never previously taken a license), was entitled to the same rates as Apple which renewed its prior license after less than six months of litigation, is no hero to SEP owners. Yet, even he found the ETSI IPR policy permitted the net sales price of the handsets to be an appropriate royalty base. 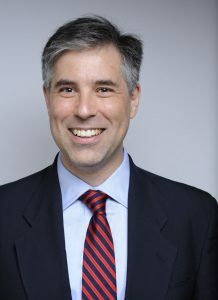 These U.S., European and Chinese judges’ positions shouldn’t surprise anyone, as both Luis Jorge Romero, ETSI’s Director General, in December 2018 (Public Statement on IPR policy) and the European Commission a year earlier (Setting out the EU approach to Standard Essential Patents) left it to the parties to figure out what was the appropriate FRAND licensing model, noting that “there is no one-size-fit-all solution.” Indeed, after a suspicious start in 2009 as Judge Rader’s (sitting by designation) sua sponte way to lower royalties in Cornell’s case against HP, SSPPU was soon adopted by the Federal Circuit in 2012 LaserDynamics. However, while the 2014 D-Link case required apportionment of the value of the invention to the end product, it did not even mention, let alone require SSPPU. By 2015 in CSIRO, the Federal Circuit rejected the claim that an SSPPU is mandatory, not the least because it would necessarily exclude comparable licenses. These findings are also consistent with the 2013 ITC conclusion in a Samsung-Apple Dispute that the common industry practice is to use the end-user device as a royalty base. With so much going against it, why did HTC fight so hard to get SSPPU found mandatory under the ETSI IPR policy? Reading Judge Gilstrap’s opinion I was reminded of Vringo’s fight with ZTE and how hard ZTE pushed the SSPPU approach on multiple continents as part of their FRAND/Competition law strategy (See, e.g., Para. 56). As part of the litigation, ZTE seemed to have received significant assistance from Google’s legal team (Vringo Motion to de-designate). Then it all came together. Given the work the Fair Standards Alliance (FSA) did promoting SSPPU and Google’s deepening involvement in the FSA (its senior patent counsel, Suzanne Michel, joined the FSA board last year), and its promotion of SEP restrictionist, Mark Lemley’s research, it would be a natural fit for Google to promote such a royalty reducing doctrine. Indeed, Google has been the financial and intellectual muscle behind much of the destruction of the U.S. patent system, from being the money behind the Electronic Frontier Foundation’s Jihad against software patents, to planting a mole to undermine the US Patent Office’s integrity. Furthermore, Google’s $ 1.1 billion acquisition of HTC’s R&D team a year ago, has been described as a cash infusion that kept the lights on at HTC. Hence, it appears that Google and HTC are especially close. In my more paranoid moments, I wonder how far Google’s reach really is. How else to explain the most troubling patent case of 2014? You’ve Decided to Conduct a Trade Secret Audit. Now What?